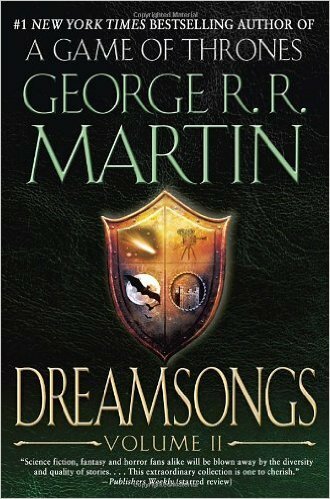 This is a review off the second volume of George R R Martin’s Dreamsongs compendium where many of his earlier works are catalogued. The review of the first Dreamsongs can be found here. The continuation of Martin’s short story compendium had less stories I liked as compared to his first, but it also had less stories overall, and the ones I enjoyed were phenomenal. A Taste of Tuf introduced me to cat loving protagonist Tuf Haviland who I believe could be an avatar for Martin himself (though GRRM insists he’s more like the Turtle of the Wild Card series) in addition to adding more books to my reading list. I entirely skipped over The Siren Song of Hollywood after losing interest in the first story. It was okay, but the screenplay style threw me off. Doing the Wild Card Shuffle was 50/50. The story I disliked was my least favorite of the entire volume, and in fact hung me up on reading it for about a month, but the story I loved is my favorite in the entire collection. What an appropriate unity of opposites. This section also had me adding books to my reading list. The Heart in Conflict section was a nice round out. I wasn’t over the moon about any of the stories in it, but there was a draw to them still. Two of them factor greatly into something major recently introduced in the television series. As with Volume I, this is not going to be a review of the entire collection, but rather a commentary and brief analysis on the stories that struck a chord. “A Beast for Norn” introduced the fore mentioned Tuf who comes off as quite mild mannered, but is no one to trifle with. The “norns” are the names of the fates in Norse Mythology, but the 12 houses in this story seal their own through warmongering and greed. The houses themselves and their respective beasts are surely a precursor to Westeros and its sigils. The second Tuf tale is entitled “Guardians,” but the moniker is deceptive for the group that initially bears it. This is also yet another tale that draws me ever to conclusions about Martin’s epic Song. He’s written it before, scattered throughout the decades. ASOIAF is merely the culmination of preexisting ideas. 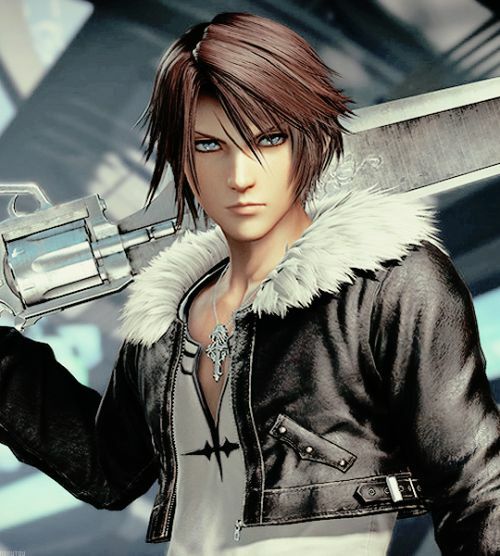 At the end of the current saga, I believe we will be left with questions about whether or not humanity is the true protagonist of the tale or rather the authors of their own destruction seen as sympathetic because we ourselves are human, and it’s uncomfortable to envision yourself as the villain. I doubt this point will be universally understood though, as it is constantly and consistently missed. “From the Journal of Xavier Desmond” is such a monumentally excellent story that it entirely changed my point of view on the Wild Card series, prompting me to put that on my to-read list. I was singularly unimpressed with “Shell Games,” but “Journal” more than made up for that. The cause and effect put me in the mind of a novel I reviewed a few years ago The Devil’s Alphabet; however, unlike the latter, the source of these changes is both virulent and alien in nature. It’s also impossible to ignore it’s similarities to X-Men (hell, the narrator’s name’s even Xavier…) in this take on racism and discrimination. The mien of the story can best be described as hopeful despondency. It captures the mindset of a dying man desperately trying to do something useful with his final days. If you are a fan of Song and/or Game of Thrones, the most important stories in this section are “Unsound Variations” (which is reviewed here by Vassals of Kingsgrave) and “Under Siege.” This only became a known truth with the airing of S6E5 and the heartbreak of “Hold the Door.” I won’t spoil for those of you who haven’t yet seen, but I will say that a causal loop paradigm was presented that changes everything. These two shorts are Martin “practicing” this point for his Song, and I’m fairly certain reading these along with the show revelation spurred on my Fridge Horror nightmare of about a week ago. Both stories are about sending one’s consciousness back to a point in the past in order to engender change. Actions have consequences. This, above all I truly believe, is what Martin is trying to show us. I recommend this volume and the previous to any and all fans of GRRM’s writing. While some of the stories may not be to your liking, I’m certain you will find something of value within many if not most. Dreamsongs Volume II, like its predecessor, also earns a solid 4 stars from me, if only to see Martin’s earlier work and be offered a peek into how his most epic one might conclude.